Hogarth’s Pest Control specializes in Termite removal. Termites have infested the earth since the time of the dinosaurs and can cause devastating structural damage. These pests have been dubbed “silent destroyers”— thanks to their ability to chew through wood, flooring, and even wallpaper completely undetected. Termites have earned the title of one of the most successful groups of insects on Earth. Their colonies range from a few hundred to several million, and their queens are the longest living insects in the world, existing anywhere from 30-50 years. There are 3 main types of home-invading termites, Damp Wood, Drywood, and Eastern Subterranean. It is uncommon to find the Damp Wood termite in Michigan. When they do appear, it’s typically through shipments of lumber; however, they are unable to adapt to the colder environment and quickly die off. It is most common to find these termites along the Pacific Coast, the Gulf Coast to Florida, and the Southwestern U.S. The Drywood Termite is rare to find Michigan and, like the Damp Wood Termite, only arrives through the shipment of lumber and furniture from the West Coast. These termites are most commonly found in Southwestern part of the U.S. As their name suggests, mainly thrive in dry wood such as foundations and window and door frames. The Eastern Subterranean Termites are wood destroyers that go through a complete metamorphosis. They can have wings or be wingless, forming free-standing mud tubes in basements or crawlspaces on the interior or exterior of the foundation. 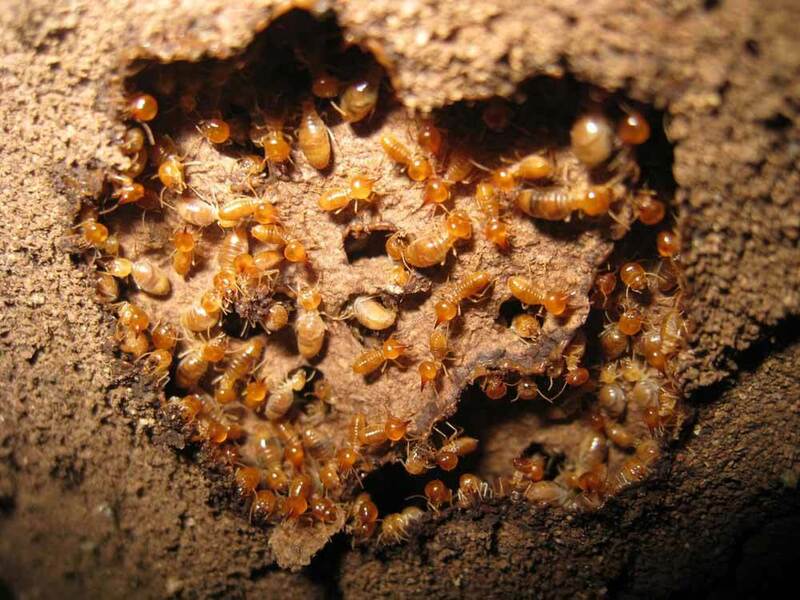 Eastern Subterranean Termites are a colony species that nest under the foundation and tunnel up to the house as a result. 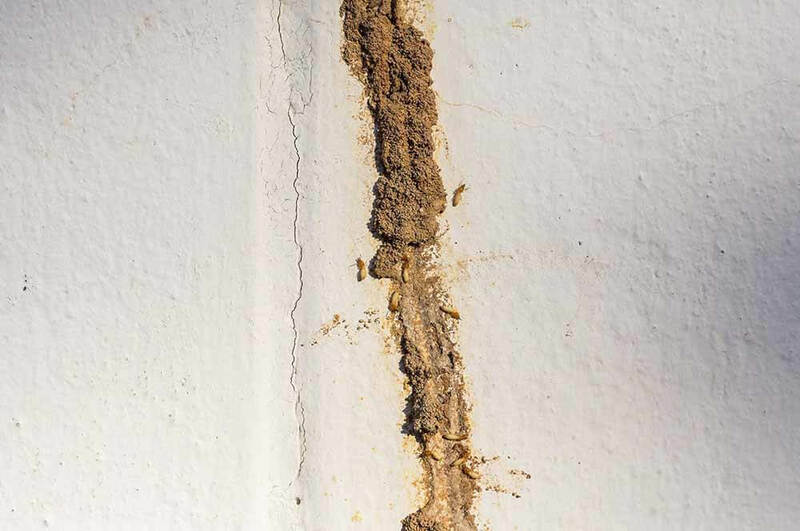 These termites can enter through a crack 1/32 inch wide. They require moist soil conditions and can communicate through their pheromones and trophallaxis. It typically takes 2-3 years for a new colony to become established and they usually lay 6-12 eggs to batch. Termites are not a native issue to Michigan, however we do have some insects that are similar. For instance, the untrained eye, swarming and/or flying ants may appear to be termites. Many customers in Northern Michigan often think they have termites, however in most cases they have swarming and/or flying ants. If you have spotted what you believe to be a termite near your home, please give us a call! 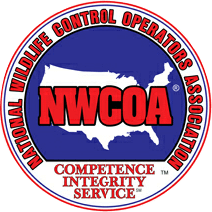 We will gladly assist you in the remediation of these pests.